As a genre of Christian hymnography, an akathist is special not only because of its structure but also because of its joyful mood. It can be explained by the real circumstances under which the first akathist was written. It was written in honor to the Mother of God after the victory over the Persians and Avars besieged Constantinople in 626 under the command of shah Khosrau. 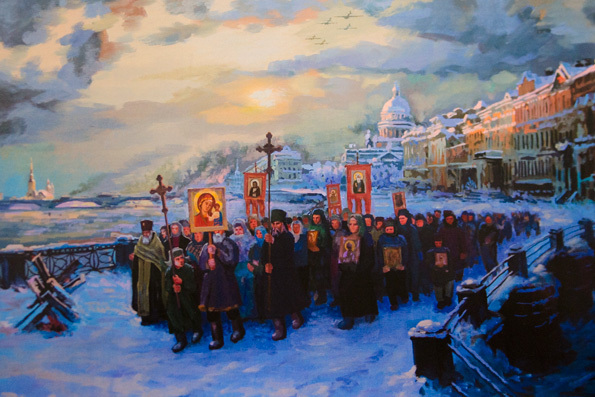 The akathist was supposed to be sung for the whole night on Saturday of the fifth week of the Great Lent. The capital was surrounded both from the sea and land. The position was desperate. The Mother of God revealed Her miraculous power and saved the city (“To Thee, the Champion Leader, we Thy servants dedicate a feast of victory and of thanksgiving as ones rescued out of sufferings”). In gratitude for that protection the feast of the Laudation of the Most Pure Mother of God (Saturday of the Akathist) was instituted. The word “rejoice” repeated many times is taken from Gospel. With that word Archangel Gabriel greeted the Mother of God when he brought the message about the further birth of Messiah: “Rejoice, highly favored one, the Lord is with you; blessed are you among women!” (Luke 1:28). In akathists devoted to saints, which were modelled on the example of the first akathist, there is also repeating appeal “rejoice”. The reason for this can also be found in Gospel. With their feats of faith and life, the saints became honored with the reward about which the Savior said: “Rejoice and be exceedingly glad, for great is your reward in heaven, for so they persecuted the prophets who were before you” (Matthew 5:12). Gregory of Pisidia, the deacon of the great Church of Constantinople, is the one who is considered to be the author of the akathist to the Mother of God. At first, the service was served only in the Church of St. Mary of Blachernae in Constantinople, where the miraculous image of the Mother of God Odigitria, the robe and the belt of the Mother of God were kept at that time. 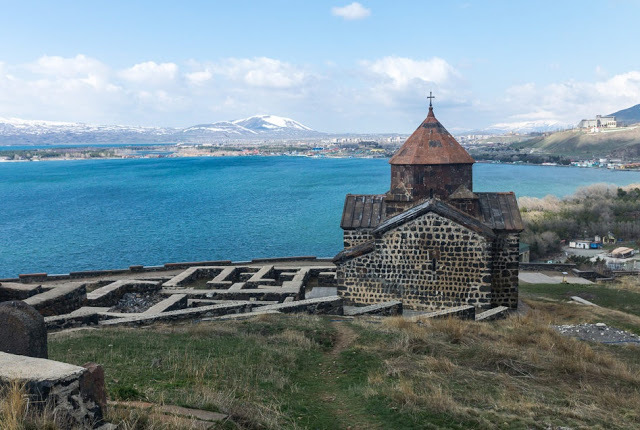 In the 9th century, the feast of the Praising of the Mother of God was included into the tipicons of the Monastery of Stuodios and St. Sabbas the Sanctified Monastery, and later into the Triodion. 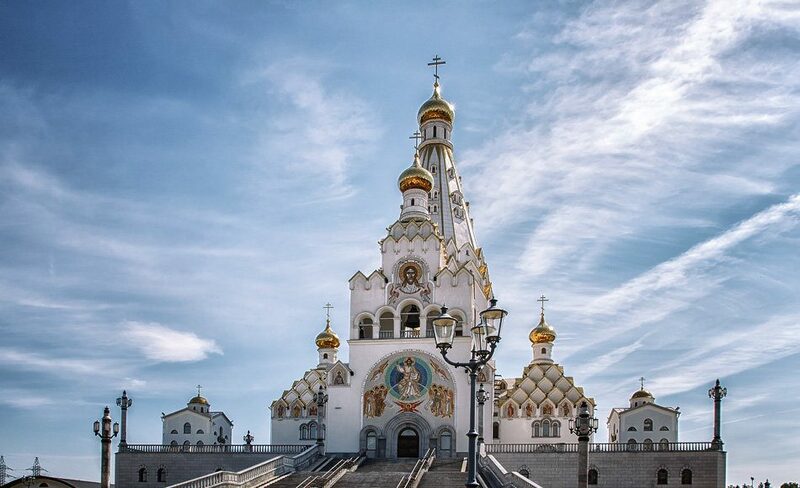 This is how this special feast became universal for the whole Orthodox Church. 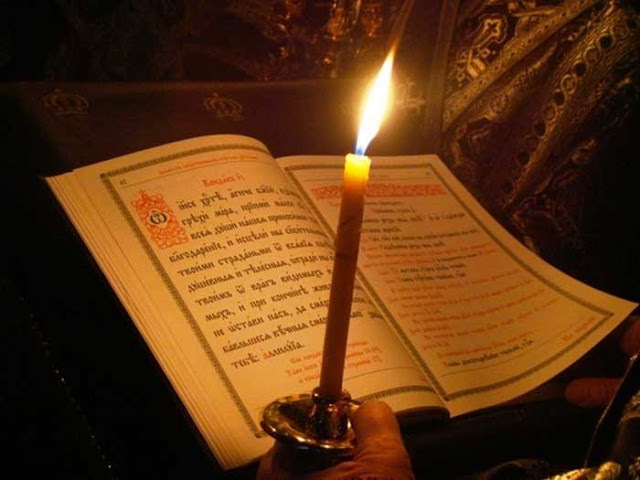 Besides the Saturday on the fifth week of the Great Lent, the akathists to the Savior, the Mother of God and saints are usually read outside of fasts, during which Christians should pray much for forgiveness of their sins. 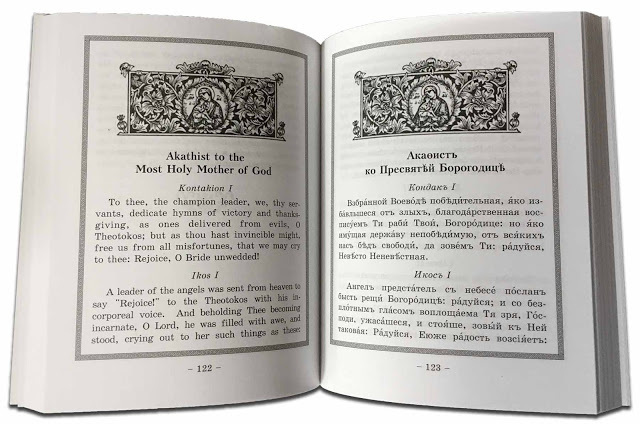 Most commonly, we read akathists in the moments of special joy and grateful mood, or when we need to ask the Lord or the Mother of God for help in certain difficult circumstances.